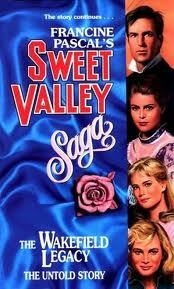 Do you remember the Sweet Valley series? I LOVED it when I was younger. 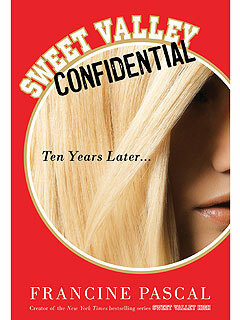 I totally happened upon the newest Sweet Valley book in the library today and it brought so much excitement. 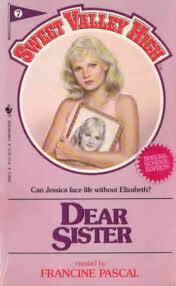 Not gonna lie, I am really looking forward to reading how Francine Pascal transforms Elizabeth and Jessica into an adult novel. 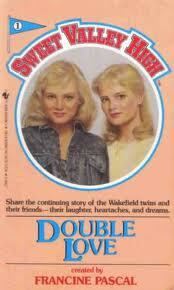 These twins were such a part of my childhood and made reading so much fun. 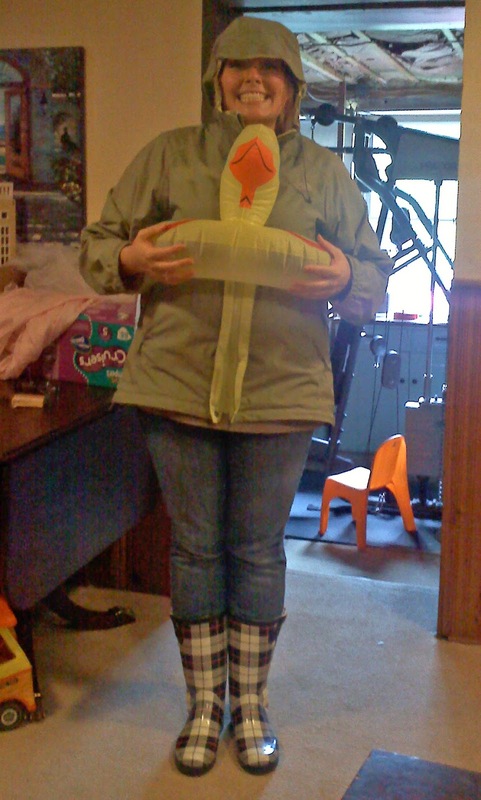 Hurricane Irene is on her way, but don't worry about me. 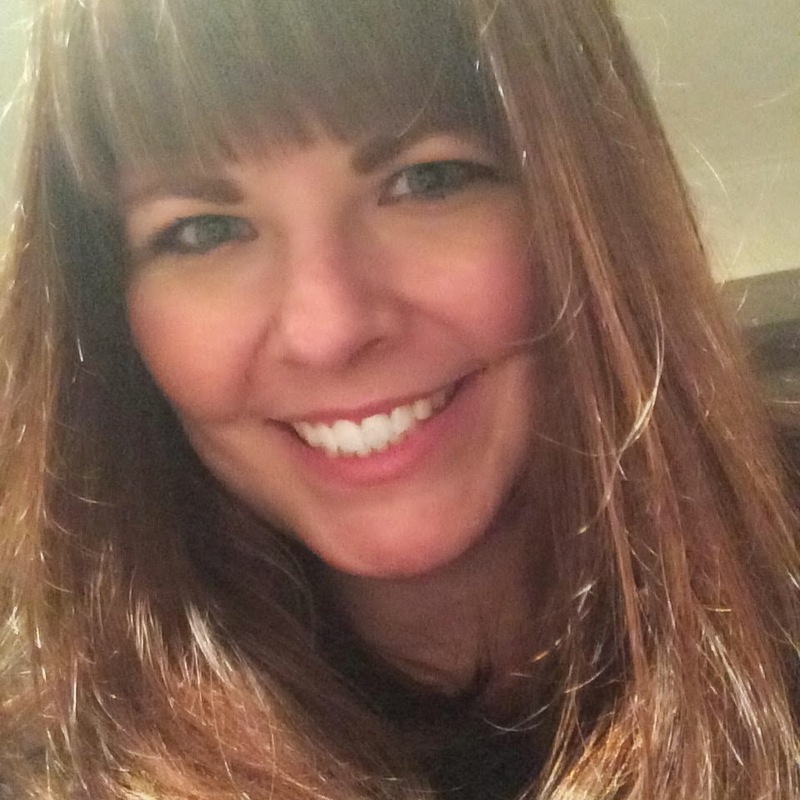 I have been in the midst of a whirlwind of emotions in my search for a new job. It is a situation that has presented me with lots of opportunities to ask for help. I have been so blessed and encouraged by some wonderful people that God has placed in my life. Others have told me to not give up, to have hope, to continue trusting. Sometimes we need others in our lives to remind us of the things that we believe, but we have allowed to get covered over by outside circumstances. I am oh so grateful for the many people who have reminded me of truth. And the truth is that all will work out. Honestly, I have no idea what my job situation will look like next week. There is a lot of uncertainty going on in this head of mine. Looking back over the past has led to places of doubting the direction that my life has taken. I have wondered if I went wrong somewhere. But the truth that I have been reminded of by so many is that my life is right where God has wanted it to be. All direction was sought by Him, and since He will not lead me astray, I am right where I need to be. I take comfort in that thought. And I leave this post with what I feel God has spoken and promised. This is the verse that I feel God has given me for this season. Psalm 23:5,6 "You prepare a table before me in the presence of my enemies. You anoint my head with oil; my cup overflows. Surely goodness and love will follow me all the days of my life, and I will dwell n the house of the Lord forever." Hello all! I am going to start a new feature highlighting some of my favorite pins from Pinterest. If you don't know what Pinterest is, check out this post. Pinterest is pretty much my favorite online site. I have gotten so many wonderful ideas and recipes and it's just plain fun. Such a pretty and simple hairstyle. I want to try it. Pinterest is also good for an occasional laugh. Cauliflower pizza crust. It's genius. A friend of mine and I actually tried it Friday night and it was so good. And today I tried my own rendition and came up with garlic rosemary brie cheesy bread. I will be posting more about it later, because you really really MUST make some of this stuff. A new favorite for me. Well, lately I feel like I find new artists thinking to myself, "Wow! I bet I am the first person to realize how wonderful this is" ... until I see that the album I am finding to be so wonderful is actually a few years old and many others have commented on it's wonderfulness too. So, alas, I am not the awesome new music finder that I thought I was. One of the artists that I am really digging right now is Lykke Li. I love the little snippets that I have heard from her Youth Novels album. Below is my favorite song from her, which has another one my favorites as one of the musicians (Bon Iver is awesome - check out his music too). "Tell them this: 'These gods, who did not make the heavens and the earth, will perish from the earth and from under the heavens'." But God made the earth by His power; He founded the world by His wisdom and stretched out the heavens by His understanding. When He thunders, the waters in the heavens roar; He makes clouds rise from the ends of the earth. He sends lighting with the rain and brings out the wind from His storehouses. Everyone is senseless and without knowledge; every goldsmith is shamed by his idols. His images are a fraud; they have no breath in them. They are worthless, the objects of mockery; when their judgement comes they will perish. He Who is the Portion of Jacob is not like these, for He is the Maker of all things, including Israel, the tribe of His inheritance - the Lord Almighty is His name. I found such great encouragement as I read over this passage today. My God is the Almighty Maker of all things. And quite honestly, right now I have to lean on Him and trust every aspect of His character. This character which states that He is powerful. He is loving. He is full of grace. He is my Father. He is my sustainer. He Is My Provider!!! I need to acquire a new full time job in about 3 weeks. I have been on the job hunt for a while and nothing has come of it ... yet. While I have my freak out moments, I am still at peace. I just know that God has something that He is laying out. As I read the above passage the thought occurred to me - "Of course God is going to work everything out. If He can make the universe and knit me together in His image, finding me a job is a piece of cake." Sometimes in the midst of stressful times (and ok, this position I am in can get a little stressful) the little voice of doubt can come creeping in. Last week, I was doing dishes in the kitchen when a little thought crept into my mind. The little voice said, "All those years serving God and where has it gotten you." The little voice was trying to cause doubt and fear and to steal my worth. But my heart fought back. My immediate reaction was, "Where has it gotten me?!? Peace - that's where it has gotten me!!! I am experiencing peace which passes understanding and right now that is very valuable to me. I have seen God work wonders in my past, and He is not done!!" Stupid little voice of doubt, take that!! I don't have any little tiny bit of regret over the path that my life has taken. My life is an adventure and I love that. And my adventure is not over. It's taking a little unexpected turn, but it is every bit as exciting as it has been in it's most adventurous moments. My slate is being wiped clean and the possibilities are endless. Happy Friday all!! I hope that you are gearing up for a fantastic weekend. I am planning to take a tiny trip to Fredricksburg tomorrow for a youth conference. Yeah fun!! It has been awhile since I have done a Freedom Friday post and I want to get back in the habit. This dance did not get the best reviews from the judges BUT it is someone using their gifts to raise awareness for something that they believe in and THAT is what I love so much about it. Even if people did not like the dance, but their curiosity was sparked all they had to do was look at the t-shirts the dancers were wearing and then check it out online. Invisible Children is actually the film that opened my eyes years ago when the film was a new thing. So, I absolutely loved seeing it spotlighted on national TV. Hello and happy Monday!! Wait a sec. It's not Monday? Oh, calendar says that it is Wednesday. My how time flies. So I guess this is a little delayed winner announcement. And the lucky winner is entry number ..... 4!!! I will get in the mail to you next week. Here is a little bit of something about Melany - I love popcorn. It is my favorite food - not just favorite snack - but favorite food. I found a recipe for popcorn bars in the cookbook "Too Hot in the Kitchen". Enter the giveaway for a free copy HERE. I love this little popcorn snack because it has the whole salty sweet factor to it - and it's not bad for your figure either. Yummy yummy snack. For this recipe and more from Trim and Terrific, check out Holly Clegg's book "Too Hot in the Kitchen". Be back next time with the winner from the cookbook giveaway. Take advantage of the last chance to enter by clicking HERE. Today I made a Lentil and Goat Cheese salad from the "Too Hot in the Kitchen" cookbook that I am giving away HERE. I actually stopped eating meat a few months ago, which I guess makes me a vegetarian, but let it be know that I still eat seafood. This sister is not ready to give up her salmon. I made this dietary decision when I found that meat just makes me feel not so good. However, being that I don't care for beans, the vegetarian lifestyle can be a bit challenging. But I do love some lentils so I was so excited to see a lentil salad recipe in Holly's cookbook. And it includes goat cheese. I love goat cheese!! It is by far my favorite cheese. This particular recipe is super easy and filled with nutritional goodness. It just cooking some lentils, chopping up some veggies, and mixing up a dressing. Bring on the goat cheese. I did mention that I love goat cheese, right. This dish is so good and I love that it is served cold, which means that I can make up a batch and keep it in the fridge for lunch. One of the things that I love about this is that it has mint in it which gives it a very fresh summer taste. It's so good. Put the ramekins in the fridge to keep the cherry tomatoes company :-) It needs to be there about 5 - 10 minutes to get set. Hello all!! I hope that you are having a wonderful week. This girl has been a busy busy bee ... and it loving every minute. 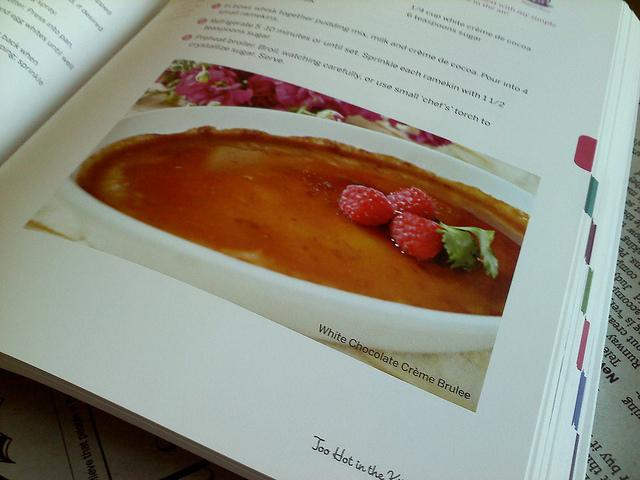 My giveaway is still underway for a "Too Hot in the Kitchen" cookbook. Check it out by clicking HERE. I am working on my list of what to make in order to wet your appetite. I am really looking forward to making some Creme Brulee. Stay tuned as some delicious treats will be popping up over the next few days.